The Bayberry Model at Plantation Lakes comes fully furnished. 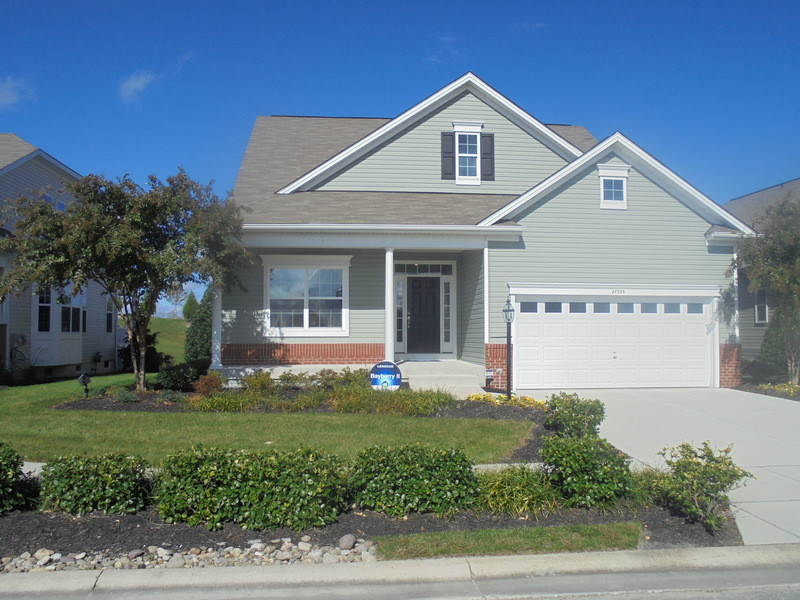 Bayberry Model at Plantation Lakes, Millsboro Delaware, for Sale. The four bedroom 3 bath home comes fully furnished. The Bayberry model has the Master bedroom located on the entry level which is desirable feature of todays home buyers. The Bayberry model also has a second bedroom located on the entry level. This is crucial to the retirees with difficulty going up and down stairs. First floor living is a major feature being sought by many buyers today. The 2488 square model home has the desirable open floor plan, with an expansive luxury kitchen opening to the great room. The entry level kitchen has stainless steel appliances, granite counters,42 inch cabinets and a large pantry are just some of the key basic kitchen features. 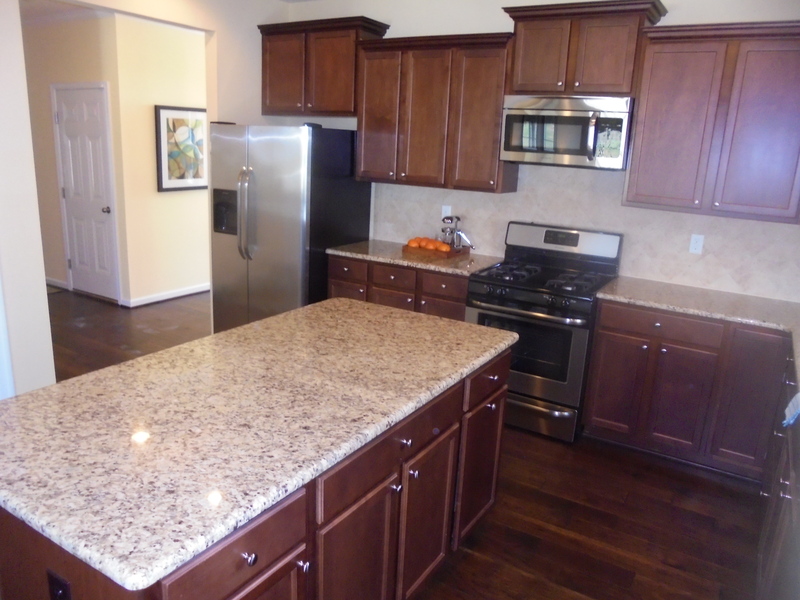 The kitchen consists of hardwood flooring and a large center island. The hardwood flooring starts at the entryway and continues through the great room. The Great room has sliding glass doors opening to the rear deck with views of green space directly behind the home.The entry level master has a separate tub and shower. and walkin closet. The second downstairs bedroom has a door accessing the second full bath. The large two car garage complete with auto door openers has door entering to the laundry room complete with all hookups. The entry level 13 x 13 study and or office is a great feature makes the home complete first floor living. The second floor of the Bayberry Model has two bedrooms which share a full bath. 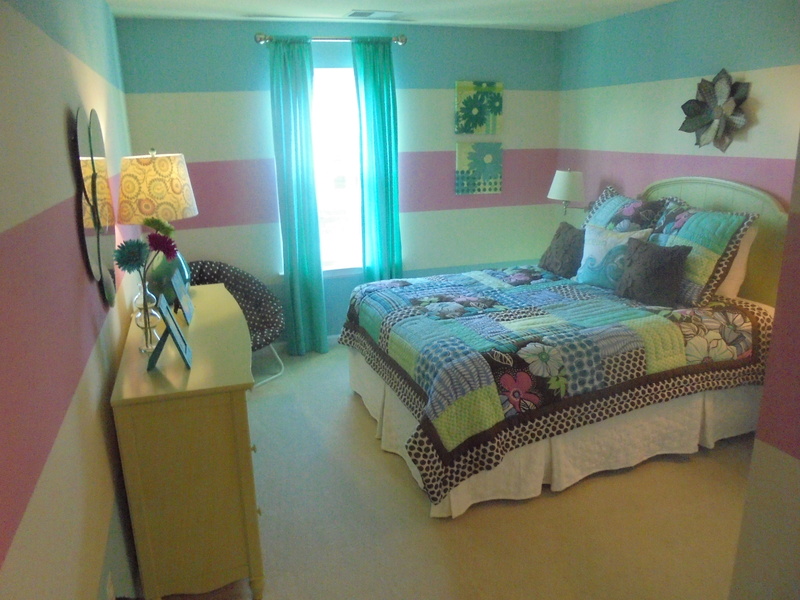 The bedrooms are large by todays standards.The third bedroom is 16 x 12 and the fourth bedroom is 14 x 11. The hallway between the two bedrooms has a open view to the expansive cathedral ceiling great room. The entire home has all have designer touches making them visually appealing. The Bayberry Model at Plantation Lakes has a covered front porch and a maintenance free rear deck. The back of the home has a stairwell entering the expansive full basement. The basement contains the furnace, hot water tank, and sump pump. The area is the footprint of the home and is ready to be finished by the new home owner. Planning ahead of the need for a full bath in the basement the builder has roughed in plumbing needed for drain lines and vent pipes. The exterior maintenance free vinyl and full irrigation system makes the home complete.